There is a reason why a large number of existing customers of the HINO 500 Series have good things to say about the Series’ durability, reliability, and driving performance. It is that the HINO 500 Series is designed with the aim of meeting the benchmark that requires its best potential to be delivered under harsh operating conditions. How far can we take “reliability” when we speak of trucks? We believe the HINO 700 Series of heavy-duty trucks has a clear answer to this question. With engines that are designed with the aim of delivering good fuel efficiency and low emissions, it provides powerful driving performance, high durability, transport quality, and flexible body-building capability, as well as comfort. Business success depends on two things: a solid base and the power to grow. The HINO 300 Series gives your fleet construction that delivers long-lasting dependability and an engine designed for high-power, high-efficiency performance. A hard-working light duty truck that is easy on your bottom line, the HINO 300 Series is built for new business opportunities. Hino buses has been developed with attention to safety, comfort and performance with the aim of developing a bus capable of carrying passengers in the best possible way. The specially-designed chassis will provide maximum stability and strength under stress of all operational conditions. So whether it’s on city traffic or long provincial ride, sitting inside the Hino bus will still be a very good experience. A participant in the Commercial Vehicle Development Program (CVDP), HMP is engaged in the assembly and distribution of quality HINO trucks, buses and spare parts. Aside from manufacturing vehicles and bodies, HMP also distributes genuine Hino parts and accessories and provides long-term maintenance services to its clients. It is also the only company which offers customization thus becoming a “one-stop shop” – from chassis assembly to building the body based on the desired specification of the client and further to vehicle maintenance, repair and refurbishing. 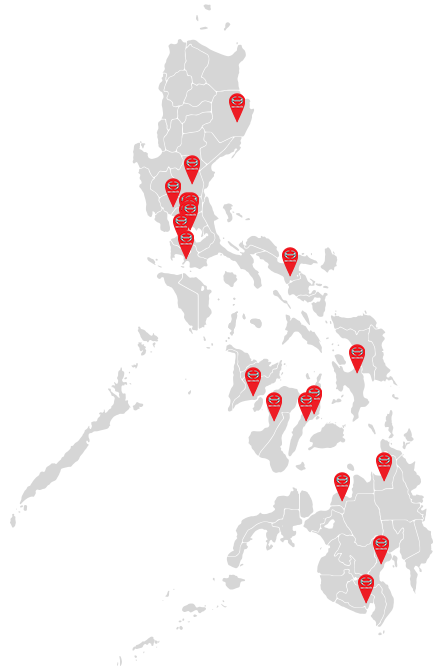 The company currently has 20 Dealers in several locations around Metro Manila, as well as in most key provincial cities. Now on its 43rd year, HMP recognizes the challenge of increasing competition that comes with new trade policies on both local and global level. HINO GOT YOU COVERED, NATIONWIDE.